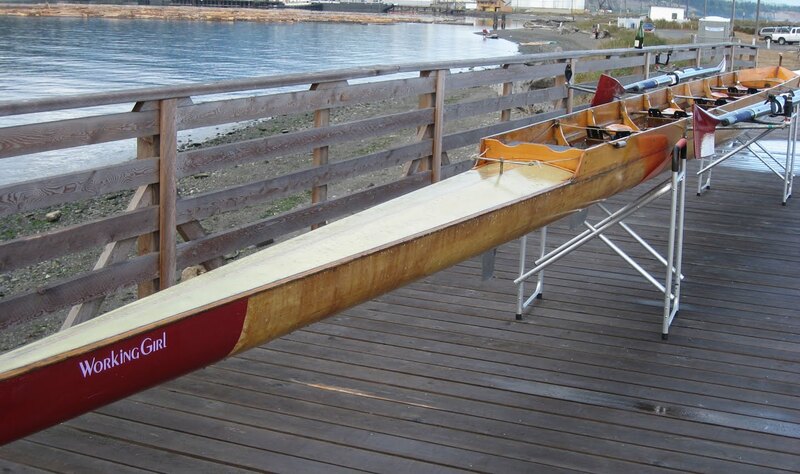 I was very proud and honored to be asked by the Olympic Peninsula Rowing Association if they could name one of their rowing boats "Working Girl". Rowing machines are in schools (elementary to high school). Electronics on the machines allow kids to race and connect with other kids around the world. Named the "City of Naches"
Built in 1947 by George Pocock (In 1936 , the UW-eight won Olympic gold in Berlin in a Pocock shell). He also supported and was very active in high school rowing programs. 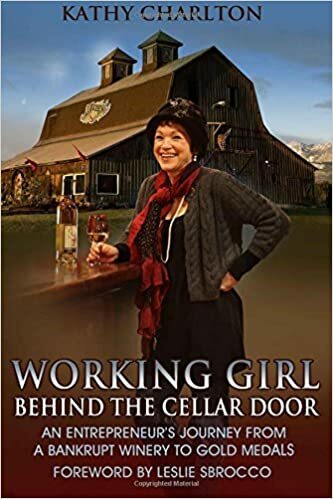 We refer to the Working Girls (wines that is) just like a boat is referred to as "she or her"
Would you be interested in Sponsoring the crew of the 'Working Girl' in their first race... 2010 Victoria Classic Rowing Regatta? Yes and Can I Do T-Shirts!!! Ralph and I will be cheering the crew this Saturday, September 4 in Victoria! The video was taken on August 27 when we Christened the "Working Girl".